Musings 'n scribblings of a philanthrope .. : Work hours of Bengaloreans, metro GDP and Metro rail implementation..
Work hours of Bengaloreans, metro GDP and Metro rail implementation..
Mumbai, Marine Drive, pic courtesy Conde Nast Traveler India. An average Bangalore techie or office goer works a minimum of 48 hours weekly or 180 hours a month, which is 2160 hours a year. 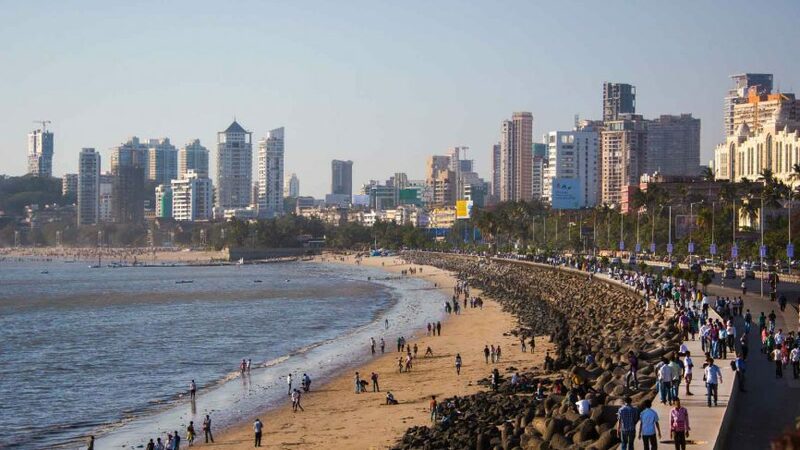 An average Mumbaikar works about 3315 hours annually and is the highest in the world as per a UBS study (53% more than an average Bangalorean). Mumbai is followed by Hanoi, Mexico City, New Delhi and Bogota in Colombia. Considering the commuting time in Bangalore, of approximately 80 hours a month or 960 hours annually, the total time a Bangalorean spends on official purpose is app 3120 hours a year. If the transport woes of Bangloreans are solved by MRTS, well maintained and wide roads, orderly law obeying public, Bangloreans could put almost 44% more time productively into work. 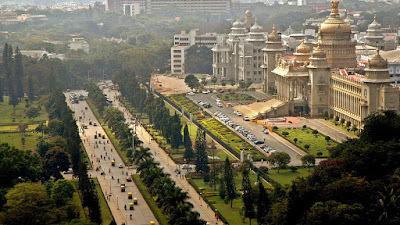 Given the Metro GDP of Bangalore of $80 billion (PPP), the fourth highest in the country after Mumbai, Delhi and Chennai, if the transportation woes of the technology and texrtile workers of Bangalore is solved partially, it could result in at least a 25% increase in Metro GDP to $100 billion surpassing Chennai. This brings to the focus why we need early and quick metro rail connectivity in Bangalore, lagging for the past eight years .